Along with seasonal trends toward stouts and pumpkin ales, fall brings the 817 several fun beer-related events. To help you plan ahead, here are my top 10 picks in chronological order. Part stand-up comedy show, part taproom tour, the Brew-HaHa experience is unlike anything you’ve seen before. The series opens this Friday at Wild Acre. 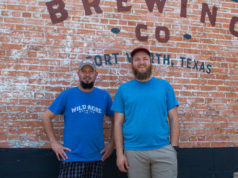 For folks in our neck of North Texas, you can catch later shows at Keller-based Shannon Brewing September 23, Justin-Based Rabbit Hole Brewing September 30, and Arlington-based Legal Draft Brewing October 14. Ticket and event info are available here. 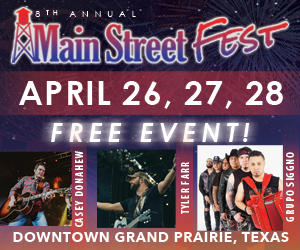 Where can you find a weekend of stein hoisting competitions, bier barrel racing, live music, and a Texas-infused Oktoberfest experience? Just one place, Panther Island Pavilion’s Oktoberfest. 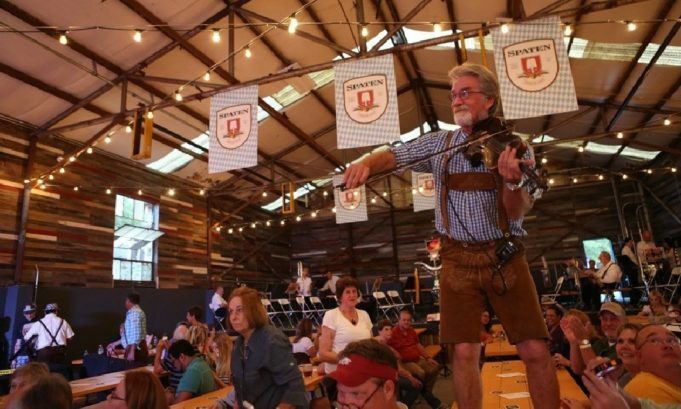 The fest starts 5pm Thursday with food, biers, music, dancing, German games, and a “tapping of kegs ceremony” (quite an experience from what I’ve heard). Friday continues the Rhineland experience with (take a deep breath) Austin-based German polka/waltz/Country/Cajun/swing/classic rock group OFF THE GRID BAND. Saturday opens with a 9:45 am 15-mile bike ride and ends with, you guessed it, gutes bier. From Rahr: Lace up your running shoes and lederhosen for Rahr & Sons’ 7th annual Oktoberfest 5K Run/Walk! Costumes are highly encouraged for this festive race, which has raised more than $50,000 to benefit local charities since its start. All participating runners will receive a commemorative pint glass and dry-fit t-shirt. Following the race, attendees will enjoy live German polka music, craft beer samples, and Bavarian treats in a festive “biergarden.” Prizes will be awarded to the best dressed and the winners of the men’s and women’s stein-hoisting competitions. This year’s event will benefit the Fort Worth Police Officers’ Award Foundation, an organization that recognizes and promotes the professionalism and excellence of Fort Worth police officers. For more information visit here. From T&P: Join us Saturday October 1st. No cover charge. No entry fee. Doors open at noon. It’s all about the beer! We will feature the best variety of German and Oktoberfest beers on tap in DFW, along with serving German food including brats, homemade schnitzel, pretzels, and more all day long on our patio. Don’t forget to dress up. Best Oktoberfest attire will receive $100 cash prize. Oktoberfest games will be going on all day including stein holding competitions, best beer belly, barrel bolling and best moustache. Live music throughout the day! 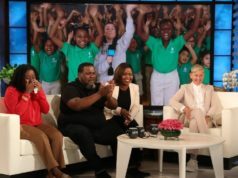 More event info available here. This year’s BeerFeast promises to be as explosively popular as it has been in past years with more than 120 rare American and imported craft beers available outside, an 80-tap takeover inside, and a variety of bottled and canned beers on the patio. There are some important updates, though. This year’s event is VIP only, which means you need to buy your tickets soon. Extra perks include food catered by chef Scott Curtis from Bird Café, expanded hours (noon to 6pm), and live music throughout the day. Tickets to BeerFeast include admission, a custom t-shirt, taster glass, 12 two ounce samples of beer, and food catered by Bird Café. 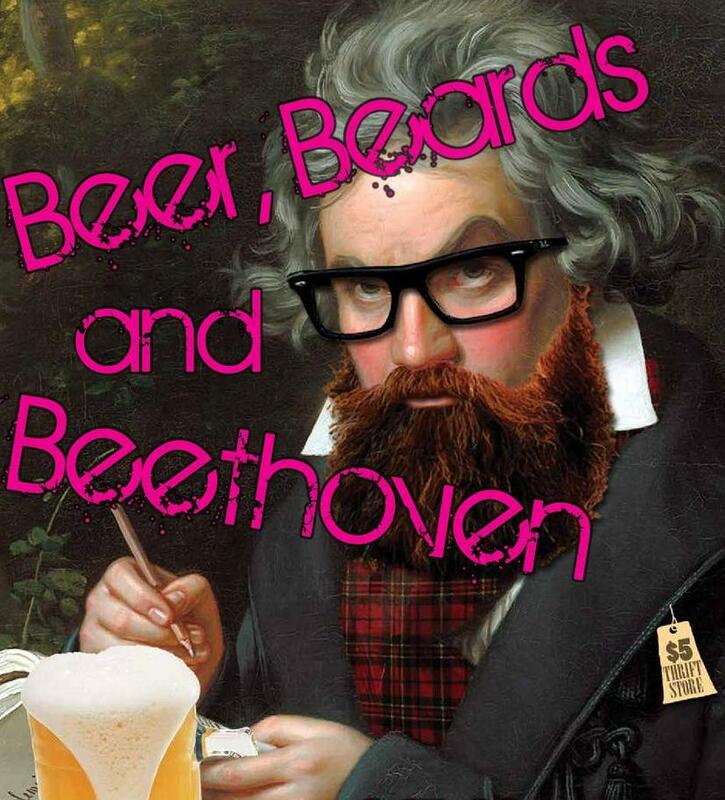 Fort Worth’s venerable Chamber Music Society is getting into the craft beer movement. Wild Acre Brewing Company is the venue of choice for a not-to-be-missed music experience. From the Chamber Music Society: The Chamber Music Society of Fort Worth believes classical music has a home wherever great music and appreciative audiences converge. For one night this fall, that home will be Wild Acre Brewing Company. The evening concert will be a fun, community-minded experience that will please lovers of great music and craft beer. The 30-minute program will feature popular classical music favorites as well as arrangements of popular songs. The event will be emceed by CMSFW artistic director Gary Levinson and conclude with a post concert “Schmooze and Brews” where you can mingle, meet the artists, and enjoy complimentary Wild Acre Brewing Company suds. A food truck (not complimentary) will be on site as well. Bring a date or grab your friends. This unique concert is one night only. Tickets are $20 per individual or $30 for two and includes up to three pints of beer after the show. Guest artists will be announced soon. Reserve your spot on the event page. Grab your favorite costume (corny outfits welcome) and head to Panther Island Brewing October 28. The spooky event features seasonal release Sweet Fang (a sweet, peanut butter stout), costume contest, and frightening flicks. Panther Island will mark its two year anniversary with a party December 9. Now in its second year, this BJCP-recognized contest offers winners the chance to have their beer brewed at Chimera Brewing Company and entered in the 2017 Great American Beer Festival in the Professional/Amateur category. 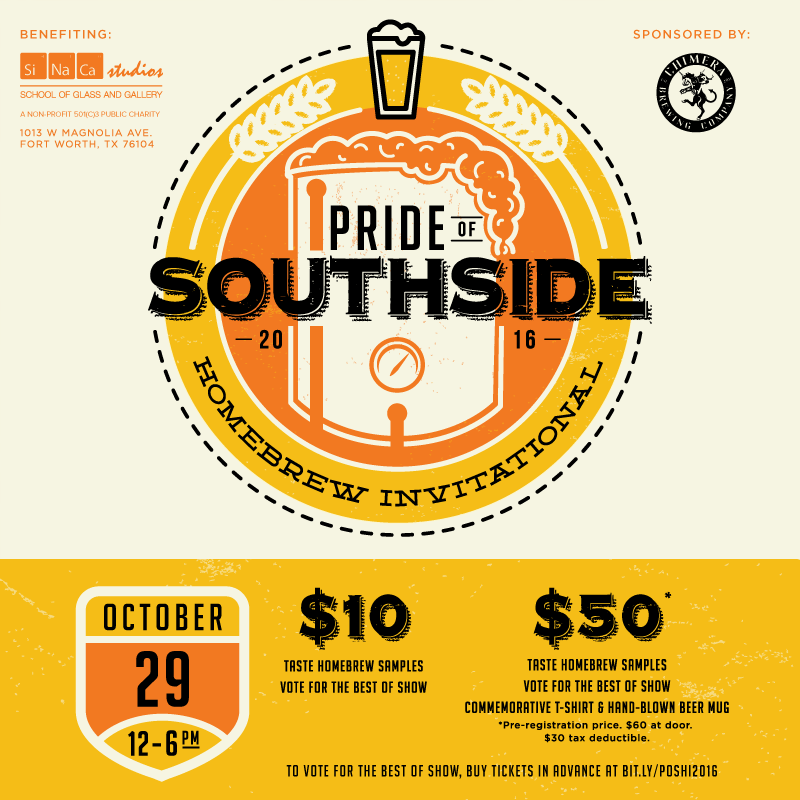 Winners are chosen by Pride of Southside attendees, who have the option of purchasing one of two ticket packages at the October 29 event. The $10 option allows hopheads to sample beers and vote for best in show while the $50 ticket (pre-registration price) offers everything in the first option plus a commemorative t-shirt and handblown glass mug. 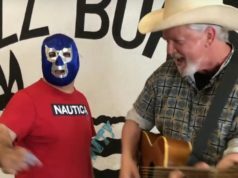 The event benefits the Near Southside-based nonprofit SiNACa Studios. 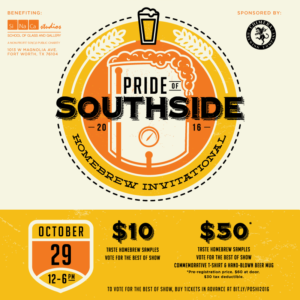 Pride of Southside submissions will be accepted October 9 through 15th at Chimera Brewing Company during business hours. Deadline for entry payment is October 29. Event info available here. Registration and ticket sales available here. NTX Beer Week is a seven-day celebration of all things craft beer-related in our neck of the Lone Star State. Now in its fourth year, the annual event includes (but is not limited to) beer dinners, bottle shares, festivals, glass giveaways, meet the brewer events, and tap takeovers. Last year, NTX Beer Week boasted 403 events and 100 venues across 27 North Texas cities. To see what your city has planned, visit here. This November, as part of North Texas Beer Week, the Weekly’s Homebrew Throwdown returns to the Panther Island Pavilion’s Shack. Part homebrew contest, part beer festival, the Homebrew Throwdown will once again feature an all-star judge panel of brewers and staffers from Fort Worth’s beloved craft beer breweries. Our Q&A panel with brewers proved popular last year and will be included again. We’ll be awarding several trophies this year and providing judge feedback to contestants in order to enhance the experience for competitors. This event isn’t just for homebrewers. Our entry fee (yet to be determined) includes a sampling cup that can be used to enjoy suds from the dozen or so local breweries who will be on site. Live music, a food truck, and a not-to-be-missed award ceremony that evening will complete the Homebrew Throwdown experience. To enter, e-mail Edward@fwweekly.com (include Homebrew Throwdown in the subject line) and give us your name, along with the name(s) of anyone else you are co-entering with, and your address. Once accepted, we will e-mail you the official application form. Entrees must be received by November 11. Don’t forget to follow On Tap in Fort Worth for important event updates.